Oh hey! Is this my blog? RIGHT! Normally this is the part where people say they’re back and that they’re sorry they sort of disappeared, but I feel like maybe I’ll skip that: I’m not back. Well, not really; almost, though. It’s been a summer of changes and opportunities and all sorts of things, and I can’t wait to tell you about it. Life: So exciting, but crazy busy. I’ll define “exciting” as maybe 80% awesome excitement, with 15% terrifying excitement and 5% unwanted excitement. Blog, (aka the work that pays me in joy and friendships): Inadvertently dormant; I miss it. I’ve been neglectful and it’s all the excitement’s fault. I promise I’ll update you on all the happenings, and soon. Work (that pays me in dollars and joy): So, so much going on on this front, people, that I can’t even begin to tell you. But I will tell you, and soon. It’s like a new challenge awaits me every single day. Current Mood Status: Frustration tears. I’m working on a feature, and it is kicking me squarely in the buns right now, friends. I stupidly thought this would be the easiest one I’d worked on, and I couldn’t have been more wrong. It’s grueling, and I have never had more recipes fail in maybe my entire career of cooking. I know i’m going to be super proud of this one once it’s in the bag, but for now? Me and the recipes for this feature are at war; a war I am not winning today. But that doesn’t stop me from loving what I do: it’s just taking more time than I anticipated, which is fine because I know i’ll figure it out, and I’ll learn from it, blah blah blah *sigh*. I know I’m going to vastly improve my baking recipe creation skills with this one, but it’s hard to see that forest through my aggravation trees, if you know what I mean. Once I get my groove back, we’ll do the Just One Question project, but for now, let’s ice cream: it’s time for the Jeni’s Spinalong (because I’m never skipping my Jeni’s ice cream posts, sorry, no.) I’m happy to say that this month actually kicks off a whole season of Spinalong posts: I know, right? Natalie and I love fall and winter with such intensity that we’re doing monthly Spinalong posts for October, November and December as opposed to our usual quarterly post. And PSSST: I just read this from the Jeni’s blog, and it’s really inspiring / honest / informative / laying-it-all-on-the-table frank and if ever run a business, I hope I run it the way that Jeni Britton Bauer runs hers. I aspire to her amazingness and am continually impressed with her grace and raw intelligence. Overriding Theme: Our Feels. Have you ever just felt a particular feel based on a certain time of year? We have, and we’re going to try to convey those feels via ice cream, just for you. Foundation Ice Cream: Our feels can’t be limited to one foundation ice cream per month, because we tend to have different approaches. For this limited fall/winter (let’s call it “holiday”) series, we are only limited by the two Jeni’s cookbooks – Jeni’s Splendid Ice Creams at Home and Jeni’s Splendid Ice Cream Desserts – and our imaginations. Take this month’s offering, for example: way different feelings about September, even though we tend to think very much the same in life. Natalie went with the sweet cream ice cream base, with which she made S’mores Ice Cream with Toasted Marshmallow and Fudge Ripple (ripple! ), and it looks ridiiiiiiiiiculously good. I know for a fact that if we lived in the same city, I’d be over there right now eating it because it’s hotter than it should be here, and I could use a frozen s’more in my face. Her ice cream is like the kid who goes to camp and is good at everything there: archery, swimming, crafts, plus they’re the star in the big farewell night skit. Her ice cream is sporty, well-adjusted, pleasantly tanned and glowy. Alternatively, mine is nerdy, if ice cream can be nerdy (and indeed, it can be.) Mine is the kid who spent most of the summer nose-deep in books, brows permanently furrowed, because he hates outdoors and mosquitos and heat and is easily burned. Mine is the kid who – when asked what they did this summer – expounds on how he studied Native American maize cultivars. My ice cream is made by an adult (me) who stared down the Jeni’s book, with all it’s luxurious, desserty flavors, and settled on a tangy honey-buttermilk base, but then wanted to make it very “indian summer” by steeping sage in the buttermilk and dry-toasting whole cumin seed and infusing honey with it. I’ll say this in my defense: it’s really good. Definitely not for those of you who just like a sweet, straightforward ice cream, but for the adventurous among you, this one is a winner. It’s got just the right balance of buttermilk tang and honey sweet, and the sage and cumin work so nicely together. to give it sort of a corn feeling (because corn is so late summer to me, and has been forever), I’ve added a type of cornbread gravel. Not Jeni’s, exactly, because frankly, I had trouble with it, and I think it’s my fault, but still. I based it roughly on the Momofuku pie crust crumb recipe, but with several adjustments along the way to make it more like how I envisioned the Jeni’s gravel to be. It’s not overpowering, but the corny crunch in pockets makes the whole thing really lovely. I get that it’s not up everyone’s alley, but it’s where my head’s been lately, and my heart. regularly occurring videos that may have me in them; I’m not even kidding about that. Videos. …and much, much more. See you soon. I’m going to have a biiiiiig catch-up sesh when I finally get back to this blogging thing. Miss you guys. Let’s talk about life and television and movies and cooking and writing and all the stuff we normally chat about, really soon. Gravel inspired by Jeni’s cornbread gravel but loosely adapted from the Momofuku Milk Bar recipe for pie crust crumb. Ice cream recipe barely adapted from Jeni’s Splendid Ice Cream Desserts. Thanks to Jeni’s for always being such a total inspiration; they know I love them. Preheat oven to 350˚F and line a baking sheet with parchment paper. Whisk flour, cornmeal, buttermilk powder, sugar, and salt together in a medium bowl. Add butter and water and stir with a spatula until combined and the mixture is evenly damp. Use your hands to squeeze the mixture into clumps and spread out evenly over prepared baking sheet, leaving space between crumbs. Bake for 18 to 20 minutes, flipping once halfway through bake time; crumbs are done when golden brown throughout. Remove and set on wire rack to cool. Add cumin seed to a small, cold skillet; turn heat to medium and heat, tossing or stirring frequently, until seeds are toasted and fragrant. As you toast the cumin seed, heat the honey and water in a small saucepan over low heat, just to warm it. Once cumin is toasted, add directly to honey and stir to incorporate, increase heat to medium, and bring just to a bubble. Reduce heat and simmer for about 5 minutes; remove from heat. Push through fine mesh strainer to remove seeds and allow to cool to room temperature. Stir 2 Tbsp of the buttermilk together with the cornstarch in a small bowl until cornstarch dissolves; set aside. 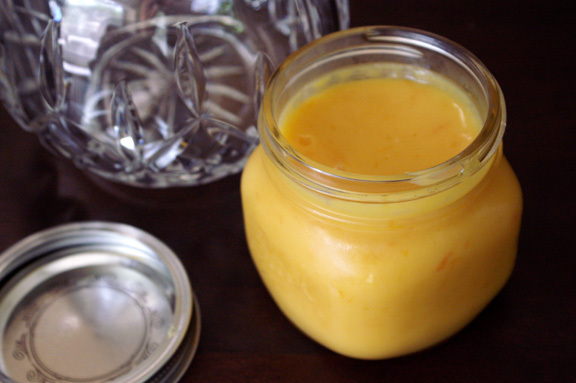 In a large, heatproof bowl, add cream cheese, salt and turmeric. I like to mash it together and break it up a bit. Set aside. In a large, heavy-bottomed saucepan, whisk together remaining buttermilk, heavy cream, sage leaves and toasted cumin honey over medium heat. Bring to a boil, stirring frequently; remove from heat. As you whisk, add cornstarch mixture (stir it a little first as it tends to separate and clump up) and place back over heat until mixture comes to a boil; continue stirring until mixture has thickened, 3 minutes or so. Remove sage leaves and discard. Remove from heat and pour about a 1 cup of the hot buttermilk mixture into the cream cheese mixture: whisk rapidly until mixture is smooth. Add the rest of the buttermilk mixture and continue to whisk until everything is homogenous and mixture is completely smooth; place bowl in ice bath and allow to cool, whisking occasionally, to room temperature on the counter. Cover and place in refrigerator until completely chilled, at least 4 hours or overnight (I prefer overnight). Remove prepared (and thoroughly chilled) ice cream base from the refrigerator and spin in your ice cream maker according to manufacturer’s instructions. Remove from canister and layer in cornbread gravel (spoon in a portion of ice cream, sprinkle in some gravel, repeat) and freeze until firm, at least 4 to 5 hours. Scoop and enjoy. 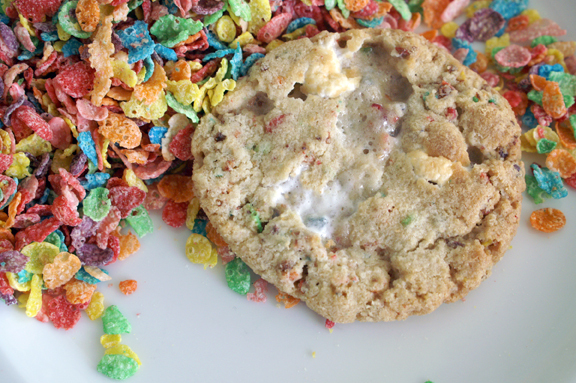 fruity pebble + marshmallow cookie. I love your approach to these spinalong challenges, and I really like the idea of blending fall and summer together because SUMMER ISN’T OVER YET and this genuinely feels like the best of both worlds. Heck, I just figured you were hanging out on a beach somewhere, taking the whole idea of summer vacation to a new extreme. 😉 Look forward to hearing more about the big doings. Really fun flavor for this ice cream. Practically a whole menu all by itself! Nerdy ice cream? No, I’d just say for adults only! This sounds amazing! And so do your challenges. What I would give to be paid to write and cook! You are rockin’ it! And P.S. I’ve given up apologizing whenever I’m away! I like to keep people guessing! Naturally, I focused on only one detail from this post: VIDEOS. Please tell me you’re wearing a cat costume. PLEASE!! I **LOVE** this ice cream idea! Love love love! I’m half expecting to see it start popping up at fancy-pants restaurants nation-wide. It’s THAT amazing. I’m so curious as to catch up with your life events!!!! I’m sending good recipe vibes and efficiency your way! If this recipe is any indication of the awesome recipe development you’re doing for the dollas, girl, you are a freaking rockstar. I finally busted out my ice cream maker two weekends ago and made this stuff, but I’ve been away from home ever since and it’s languishing in my freezer, untouched but wrapped in 17 layers of foil/plastic wrap/parchment to avoid freezer burn. Gosh, I hope it’s not freezer burned! I’m finishing up a 14 day work bender tomorrow, and then I’m going to dive into that deliciousness. 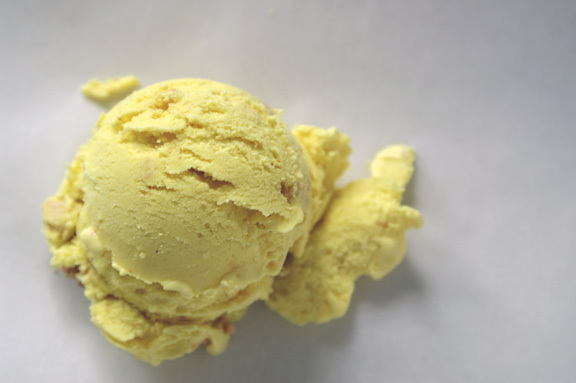 Then I’m going to fire up my ice cream maker again so I can make this. Because this sounds absolutely amazing. It’s always the seemingly simple tasks that end up being the most challenging. I have no doubt you’ll kick the upcoming feature out of the park. I can’t wait to hear about these exciting things. In the meantime, I’ll stare at this gorgeous scoop of ice cream. Oh, and speaking of ice cream, you, my dear friend, inspired me to borrow Jeni’s book from the library. I made a batch of her ice cream base (with my own twist, of course) and it turned out swimmingly. 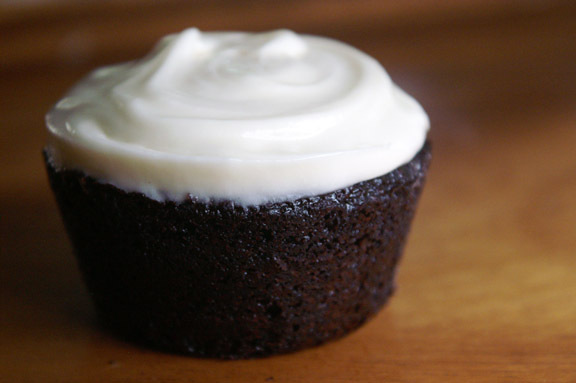 This may sound a bit raunchy for a food blog, but it’s a bit orgasmic. Recipe development can be such an roller coaster — sometimes things go perfectly smooth, and other times, well… let’s just say, I’m all too familiar with those other times. I’m sure that whatever recipe is giving you trouble this time, you are going to knock it out of the park. How do I know this? 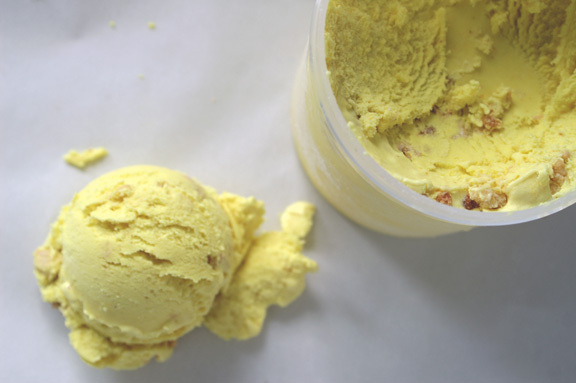 Because you make freakin’ buttermilk ice cream with sage, cumin, and cornbread gravel in! You may call that nerdy, I call it brilliant. Also, what is this about videos you speak of?! So excited to hear more about all of the things, but especially the videos things! Okay, I KNOW I left a comment on this (and several of your other posts), a while ago, and now I come back and those comments are nowhere to be found… I don’t know if that’s my internets, or what, but argh. 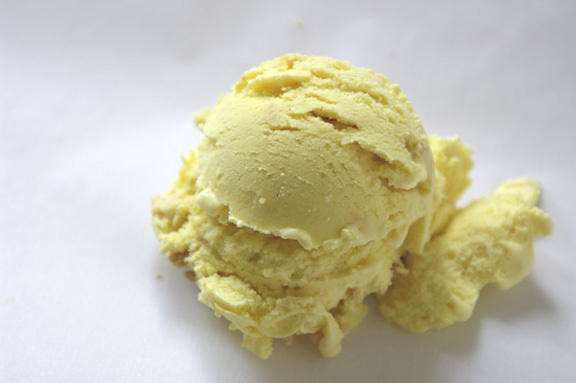 So let me just say again: this ice cream looks and sounds INSANELY GOOD. That nerdy kid? I like that kid. This is so my kind of dessert — it sounds super complex, with a little bit of sweet and savory going on, which I love. I will definitely have to try adding cornbread gravel the next time I make ice cream! Sounds amazing! Going to give it a try. I do not see in the ingredient list where sage comes in. Where is that? Hi–I’ve been trying to develop a version of @jenisicecreams cornbread gravel myself, and your version is delicious! I found it a little dry and crumbly, though; didn’t hold together sufficiently. Any suggestions? Hi Karen! If you feel like the gravel is too crumbly, I’d throw a little milk into the mix: that should make it a bit more tender. Alternatively, cutting down on the flour by a few tablespoons could help here. I’ll have to remake this soon to see if i can come up with a less crumbly product.